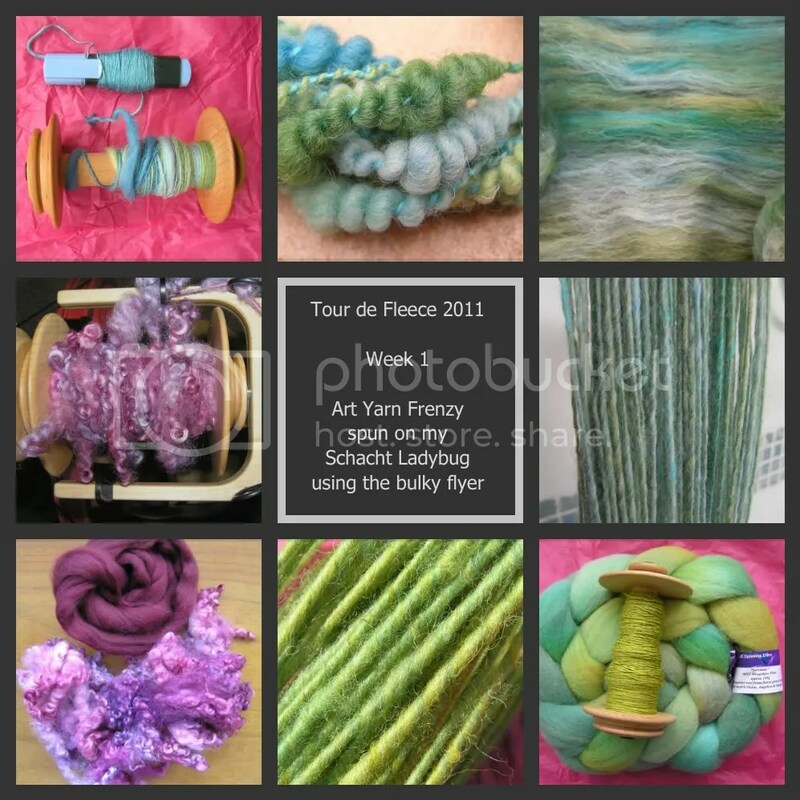 I am amazed that there are so many things you can do with fibre. I seem to have so many things on the go, so many unfinished projects and somehow no self-control when it comes to trying things out on the spur of the moment! 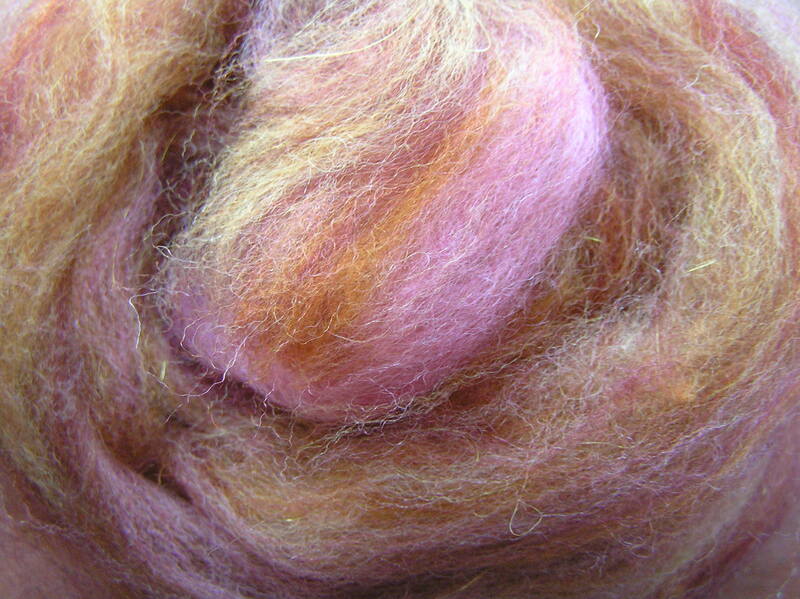 I bought some fibre from Helen and Angelica at http://www.folksy.com/shops/myheartexposed a week or two ago. 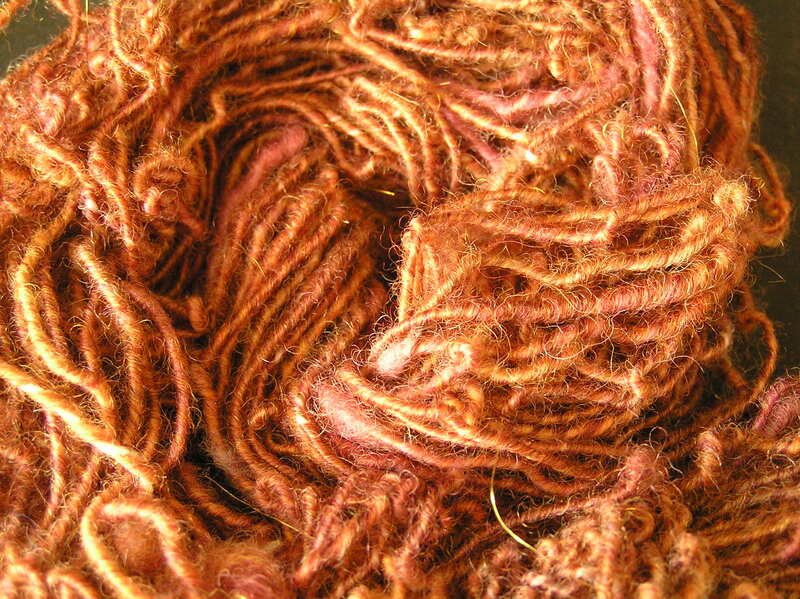 They specialise in using natural dyes and come up with an amazing range of colours. Helen and I seem to share a love of autumnal colours, so this mixed lot of fibres particularly appealed to me. 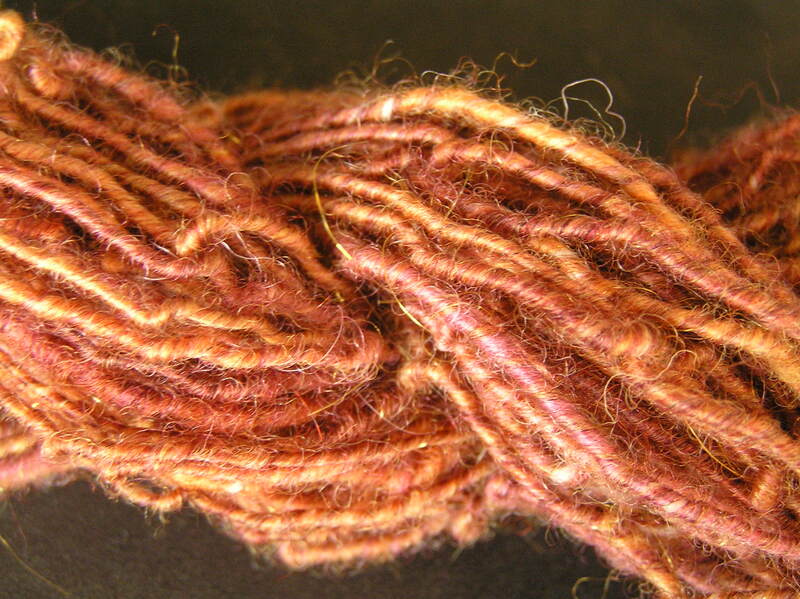 I put the fibre through the drum carder and threw in some gold nylon to add to the autumnal feel, ending up with a mix of burgundy/pink/rust/copper colours. I then spun some white shetland singles, adding lots of twist. Next time I’d use something closer in the colour to the fibre I was using to wrap my single – in some places in my yarn the core peeks though, but you live and learn. The end result is rather twisty – not as curly as some singles I have produced, but maybe another time I can get it to balance a bit better. I love the end result and hope to use the rest of Helen’s fibre in this way (when I have finished the Christmas projects…). It’s currently drying on top of the woodburner, but I am impatient to try knitting a swatch, just to see how it behaves.